African Predators Engage in Their Own 'Game of Thrones' | Embassy of the Republic of Botswana in Washington, D.C.
SAVUTE, Botswana — It's a jungle out there. Two prides of lions, the royalty of the bush country here, fight for control of territory. A leopard tries to protect her cubs from the lions. A pack of wild dogs confronts hyenas and elephants tromping through the dogs' camp. 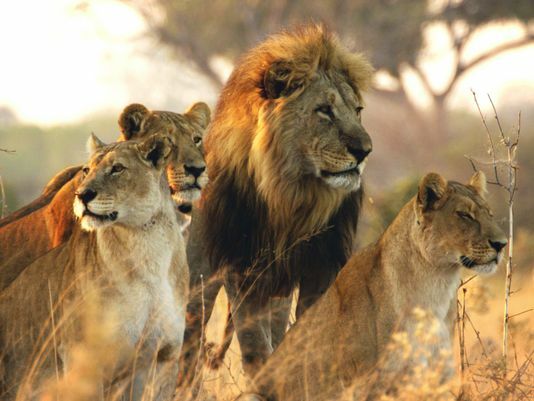 Think Game of Thrones of the animal kingdom, where families fight for their land. It is a fitting parallel to describe the conflict of wild beasts in this drought-stricken land. They are the stars of a three-part special, Savage Kingdom, which airs on NatGeo WILD beginning Friday night. Fittingly, the series is narrated by Charles Dance, who played Tywin Lannister on Game of Thrones. To see the original piece from USA Today, click here.